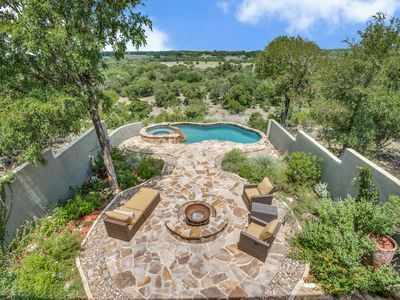 This gorgeous updated hill country home features four large covered decks overlooking the natural beauty of its surroundings. 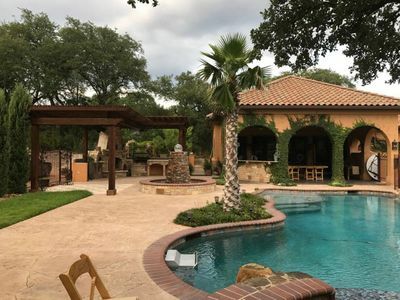 High hilltop views, as well as stunning landscaped, 12.5 acre with three acres St Augustine grass, Koi Pond with fountain, over sized sport/tennis court, wysteria trellis walkways, private "secret garden" and hammocks under shady oak trees. 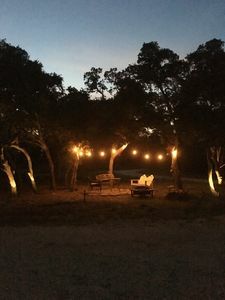 A separate porch to sit and watch our 10 deer family come eat in the morning or late afternoon (food provided). 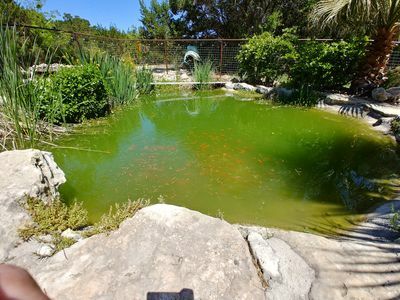 The entire property gives a tranquil feeling. There are large smart TV's with cable, Netflix, etc. 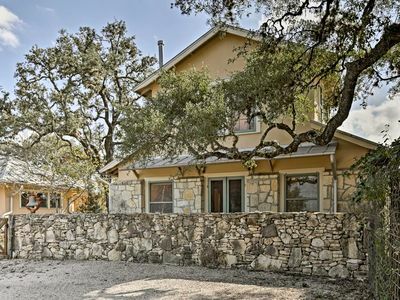 in all of seven bedrooms and two separate living areas, living room and family room. 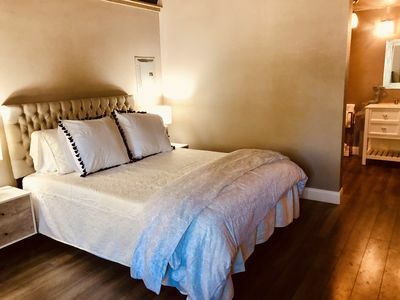 There is also a private reading room with beautiful views. 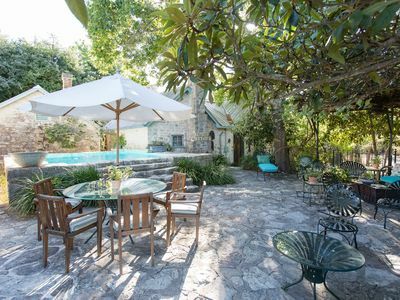 Very open design allows for room to room views of all, one large more formal dining area with separate informal dining room, again with panoramic views. 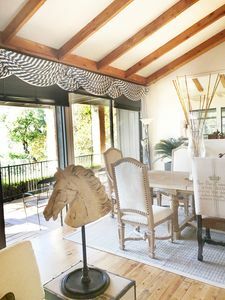 Natural light and hardwood floors create a calm ambiance with plenty of high ceiling areas for gathering. 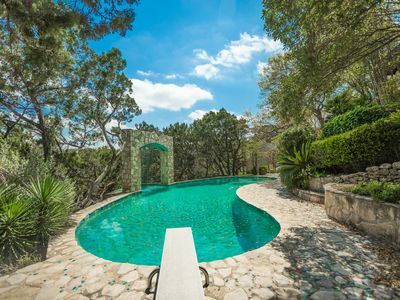 Our top of the hill estate is halfway between Boerne and New Braunfels off of Hwy 46. 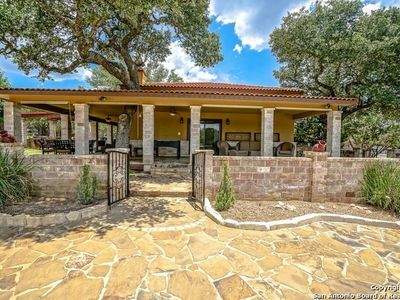 Very close to wineries, caverns, Canyon Lake, and 15 minutes to JW Marriott Golf Resort and 20 minutes from San Antonio Airport. 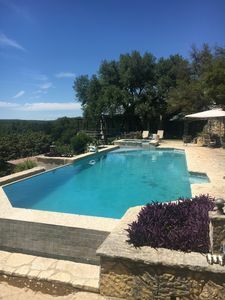 Bulverde Ranch House w/ Pool Access & 211 Acres! 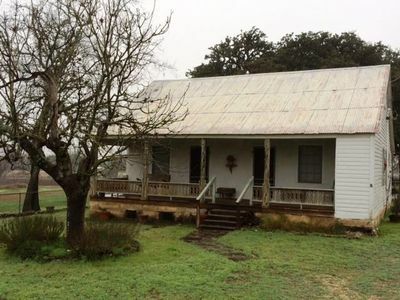 Cottage on Bulverde Ranch w/ Pool & Farm Access! 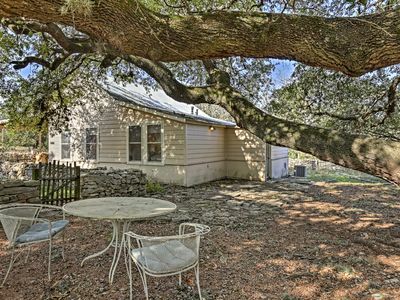 Tranquil ranch setting, easy drive to many San Antonio attractions! 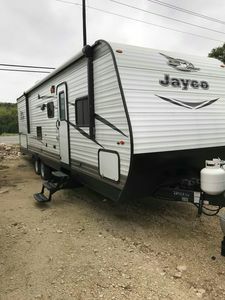 RV 30ft Jayco Flight - The Memory Maker! 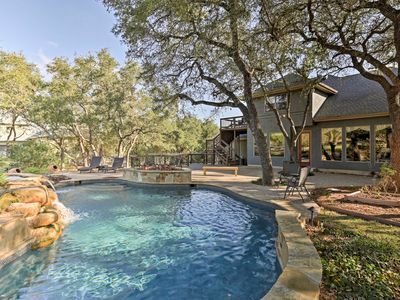 Beautiful Hill Country Cabins with kitchenettes, close to Boerne & Bulverde. 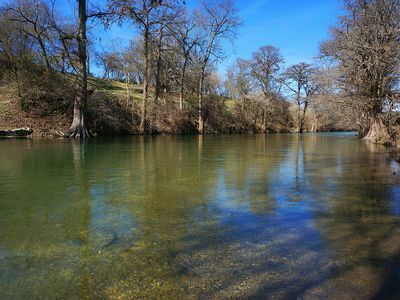 Complete Serenity on the Guadalupe - a Fishing Paradise!